This entry was posted on Friday, January 25th, 2019 at 9:24 pm	and is filed under Waiting Rooms. You can follow any responses to this entry through the RSS 2.0 feed. Both comments and pings are currently closed. 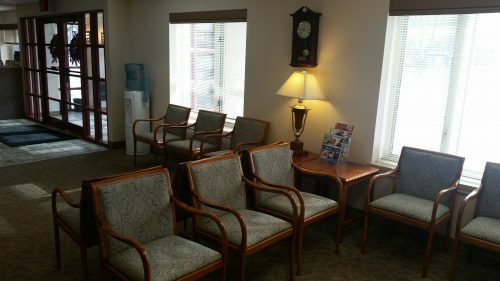 How do you manage to capture so many waiting room shots with no other people in them? @M Garbowski – Some of them have people but it is a good observation. Larger waiting rooms and or early mornings usually don’t have very many people or their just spread out enough to get empty looking waiting room shots. Now **that** looks like a waiting room!